What do you do when a friend gives you a big container of freshly picked blackberries, sweet gorgeous wonderful blackberries!? 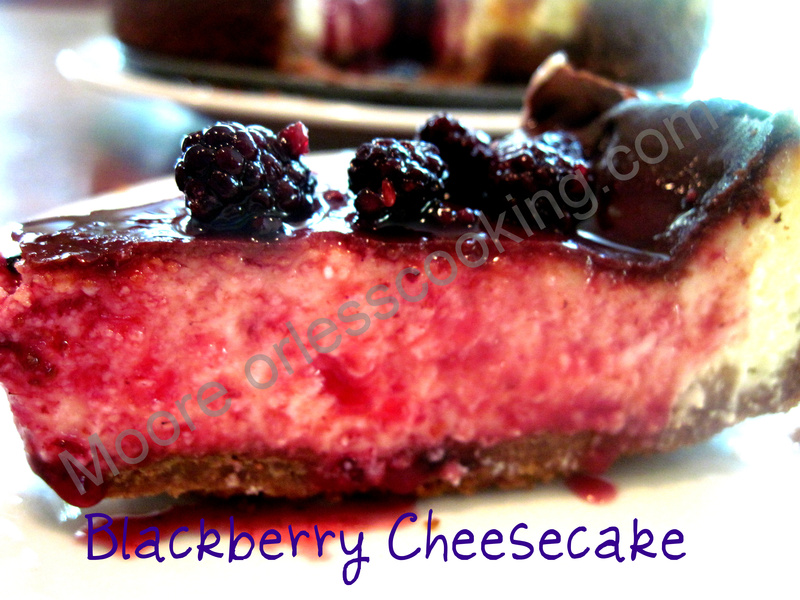 Well….I MAKE cheesecake, Blackberry Cheesecake. 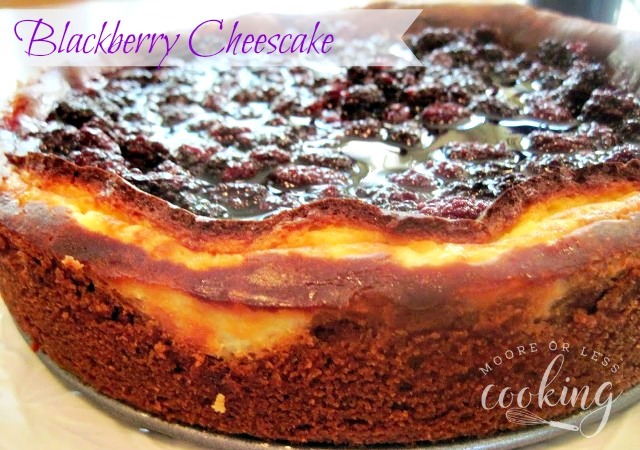 Creamy, dreamy blackberry cheesecake with a nutty cookie crust! Make sure to get lots of berries on each piece! This cheesecake is wonderful! We had friends visiting and I offered them a piece of cheesecake after our wonderful meal at the Lobster Pound. They asked if they could have seconds! They asked if they could have a slice for breakfast! I actually gave them the rest of the cheesecake to take home, they remembered that I had said that before our wine tasting outing and when we returned home, they said, “Oh we don’t want to forget our cheesecake!” Best review ever! Creamy Blackberry Cheesecake with a nutty cookie crust. Place vanilla wafers and pecans into the bowl of a food processor. Pulse until mixture becomes crumbs. Add melted butter and vanilla and pulse again until combined. Pour into a 10-inch springform pan and press crumbs into the bottom of the pan. Pour mixture into crust, smooth the top, and bake for 1 hour, 10 minutes. For the topping, add blackberries, sugar, and water to a saucepan or skillet. Bring to a boil over medium-high heat and cook for 4 to 5 minutes. Pour blackberries over the cheesecake and place pan into the fridge to cool and set for at least 2 hours---4-5 l hours is better.